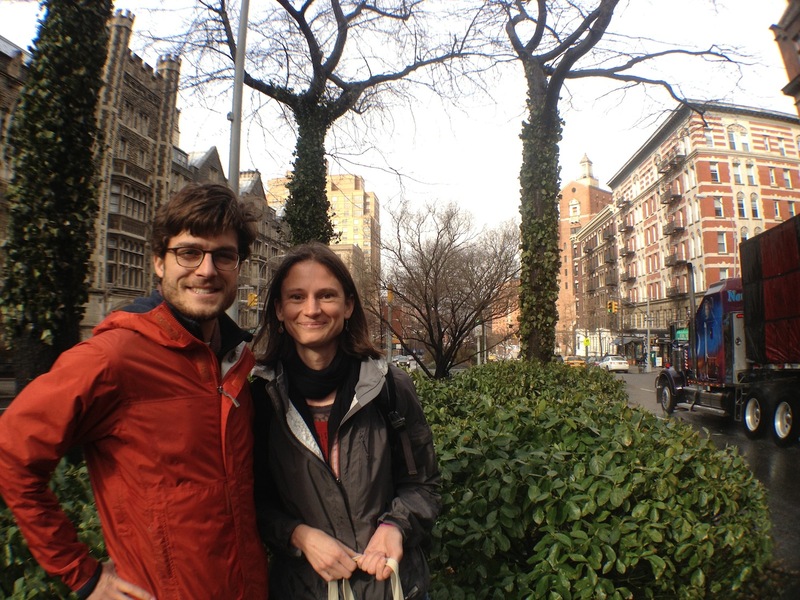 While in New York City in March, Elsa Youngsteadt and I met with Andrew Collins (check out his research here), a graduate student at Columbia University. We have been discussing some ongoing projects related to School of Ants outreach, and we enjoyed the opportunity to meet him in person (and we even roped him into doing some field work in the medians with us in between his classes!). He was kind enough to answer a few of our questions about all things science and education. Tell us a little about yourself, how did you end up doing science education in NYC? As an undergraduate I spent the majority of my time performing research in Peru, on projects ranging from the behavioral ecology of army ants to the composition of Andean cloud forest tree communities. While this work showed me the importance of preserving these ecologically valuable spaces, I understood that my actions alone would not lead to the large scale change necessary for conservation. Joining the New York City Teaching Fellows program allowed me the opportunity to inform and engage young students in these critical issues. 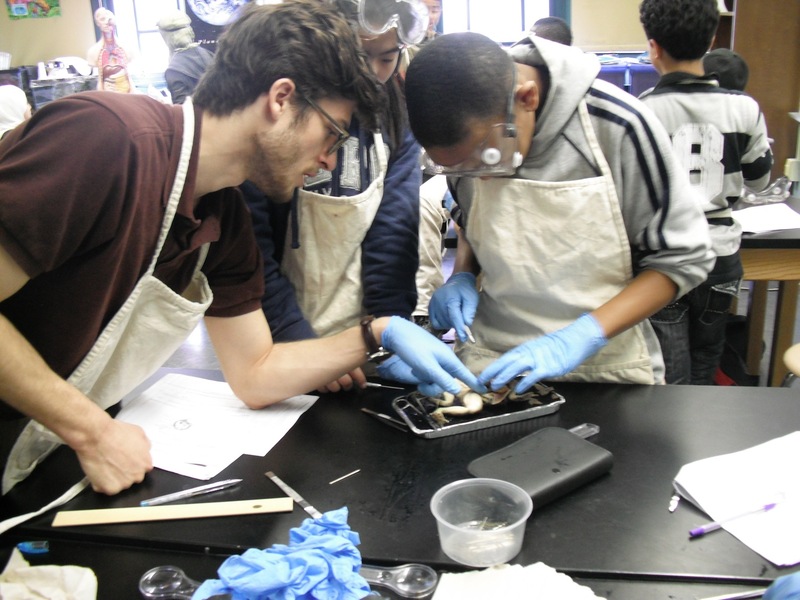 For two years I taught middle and high school science at a public school in Brooklyn, focusing my curriculum on sustainability and environmental stewardship. This experience led me to my current research on urban ecology and science education as a graduate student at Columbia University. What is it like doing research in NYC? When we think New York City, we think urban jungle – a land of concrete and steel inhabited by few species beside ourselves. While it’s true our city is not the Brazilian Rainforest or Tanzanian Serengeti, the green spaces found here do support substantial and ecologically valuable wildlife populations. Working as an ecologist and educator in NYC provides the unique opportunity to explore this dynamic urban ecosystem and to inform others of the biodiversity that exists all around us. What are your favorite places to find nature in such a big city? From community gardens to river waterfronts to urban parks, there are plenty of opportunities to see ‘nature’ in New York City. These green spaces are becoming increasingly common across the five boroughs thanks to a variety of progressive parks projects. Yet in reality, the minute you step out of an apartment building you’re going to run into a wide range of plants, animals and insects. As a student of entomology I am biased towards the last group on that list, whose members really do exist right under our noses – all you need is to get down and take a careful look. My favorite spot for doing just that is in Central Park in Manhattan – a biologically diverse and sprawling park full of surprises. Tell us a bit about the research that you’re doing? My research focuses on ways to improve student engagement in science and conservation. When students are given the opportunity to be participants in and contributors towards answering real world research questions, the learning outcomes are tremendous. We can include students in the scientific process by connecting researchers and teachers in education. This idea is the driving force behind my thesis work at Columbia University, where I am developing curriculum for citizen science projects that can be used in NYC public school classrooms. I am currently working with three middle schools in Brooklyn on the School of Ants project, a citizen-scientist driven study that examines ant diversity in urban areas across the United States. Through this project, students are adding directly to valuable ecological research while also developing fundamental science skills. What should our “take home” message be? 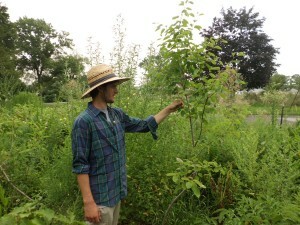 Why should we care about natural science education in an urban environment? In order to preserve our world’s biodiversity and the ecosystems that we so critically rely on, we need effective and engaging conservation education. Cities provide an interesting context in which to do this, as they are often regarded as biological devoid places where residents feel disconnected from ‘nature’. Yet even in urban environments like New York City, the choices we make have global implications; and therefore, it is essential to continue to improve science literacy and environmental awareness in the public. By instilling an appreciation of our environment and an understanding of the value of conserving it, we can work as a global community towards addressing the most pressing conservation issues. Thanks, Andrew! 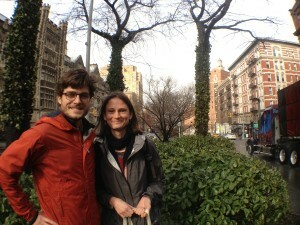 We had a lot of fun talking with a fellow educator/entomologist while in NYC. Andrew has some exciting things lined up for the School of Ants this year — We’ll keep you posted about that and all of the exciting things that we have in store for educators, particularly new ways to incorporate the School of Ants into your curriculum! 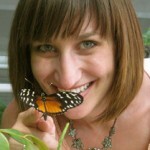 Lea Shell is an entomologist and educator who devotes her time convincing others just how wonderfully important insects and microbes are to our lives. She enjoys playing with slime mold, ants, GPS units, climate loggers and interviewing scientists about their middle school experiences.